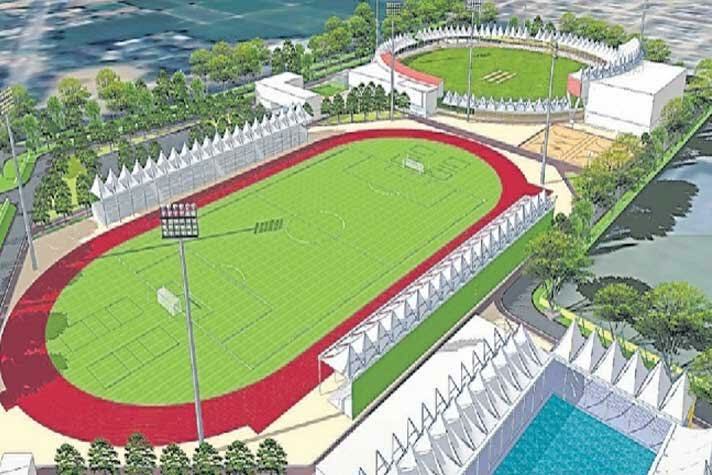 The Delhi Government has cleared the decks for a multi-discipline Sports Complex with the state of the art facilities. The first phase of the project, to be spread across 18.2 acres of land in West Delhi’s Najafgarh-Dwarka area, will come up at a cost of ₹139 crore. The training facilities at the “talent development sports centre” will be conforming to the parameters set by the world governing bodies for respective sports. The Delhi Cabinet, while clearing the project, has also approved the construction of two international standard stadiums – for football and cricket – with floodlights. The other sports facilities will include arena for basketball, athletics, tennis, swimming among various other Olympic discipline sports. The indoor stadium will have facilities for badminton, basketball, kabaddi, wrestling, boxing and table tennis. It will also have a jogging track and parking facilities. The football ground, already constructed in the designated area of the sports complex, has been approved by the world governing body for football – FIFA – to host international matches. FIFA officials had approved the first “international level exclusive football facility” in the city following an inspection in November last year. Even though Sports Authority of India’s Jawahar Lal Nehru Stadium holds international football matches in the Capital, but it is a multi-discipline facility. The proposal for the cricket and football stadiums includes facilities as per the FIFA and International Cricket Council norms. The cricket stadium will provide the Capital and alternate option to the historic Feroz Shah Kotla ground, which has been hosting international cricket matches in Delhi since the India-West Indies Test in 1948. The local boy from Najafgarh, Virender Sehwag would travel 40 kilometres to and fro to Feroz Shah Kotla for playing matches, and eventually rise to be one of India’s and world cricket’s most destructive batsmen. The next generation of aspiring talent from the vicinity will be better equipped to hone their skills without spending hours of time and energy on travel to the far ends of the metro. PWD will develop the complex at Kair village. The phase of the project will include residential sports academy and hostel complexes for boys and girls. The outer periphery of the complex will also have a jogging track and parking area.